Dr. Falcone has been adjusting me and my family for over a year. My oldest hasn't had a single ear infection since we started! Dr. Falcone got me through my second pregnancy and to a successful VBAC. Even my newborn gets adjusted by Dr. Falcone. She is very gentle and great with kids being a mother herself. My children love her and love going to see her. Our overall health has improved dramatically, we could not due without our adjustments! Before coming to Dr. Falcone, I suffered from migraines and sinus infections four to five times a year for extended periods, acid reflux several times a week, and mild anxiety several times a month. As a result, I would struggle to survive the early morning of every teaching day and avoid traveling and personal commitments for fear of not feeling well. However, when I met Dr. Faclone, her warm, down-to-earth demeanor immediately put me at ease. Immediately after Dr. Falcone's very first adjustment, I felt better than I had in a long time within a week of adjustments, I felt confident enough to get off the daily prescription acid reducer I was taking, and I havent taken it since. A year later, I am delighted to report that being adjusted by Dr. Falcone has changed my life. I now wake up feeling physically and emotionally strong and am ready and able to tackle the day and take advantage of life's greatest pleasures. I take no prescription drugs and, rarely if ever, need to take over-the-counter pain relievers or acid reducers. I had unintentionally been denying my own happiness, and, thanks to Dr. Falcone, I have my life back and then some. I instantly felt connected to Dr. Falcone. She made my entire family comfortable and the results my son, Justin, received were immediate. I discontinued after 2 treatments because my insurance didn't cover and tried other chiropractors.... I wound up right back HOME: At Falcone Family Chiropractic & Wellness!!!! I have been under Dr. Falcone's care for several years - during and after my pregnancy. Dr. Falcone has always worked with me to ensure I received the best care and treatment for my back problems. She always takes the time to perform a thorough adjustment. I have been to several chiropractors and Dr. Falcone is the best! I love going to the chiropractor because its nice sweet and they just don't crack they help and do it without hurting. This is why I like going to the chiropractor. My daugther Sofia after birth developed a bad case of colic. She constantly cried and made my life so difficult. Fortunately I found Dr. Falcone randomly on a google search and figured it was worth a try. Dr. Falcone did a non abrasive and very gentle scan on my then 3 week old baby and we found that her spine was under developed. Her digestive system needed a boost and we then started adjusting her 3 times a week. Sofia is now 10 weeks old and we have seen a significant change in her overall health. She is calmer, cries less and has started sleeping through the night. We thank Dr. Falcone for her hard work and loving dedication to our baby Sofia. Sofia is so much happier and we owe it all to Dr. Falcone. Dr. Falcone is a superior chiropractor, and person. She is always eager to help her patients in anyway that she can. Here is my story: I could not even walk and she was just about to close the office but she made me come in so she could help me. Without her I wouldn't be able to go to work or play with my 1 year old daughter. It is always a pleasure to come and get adjusted. She always has a smile on her face and puts all her passion into what she does! P.S. Melissa her chiropractic assistant is so sweet and helpful as well. It is a great place to be. I was fortunate to meet Dr. Falcone at a pregnancy expo. At the time I was in the second trimester of my second pregnancy and had heard that chiropractic care could be beneficial. I was starting to experience lower back pain and she took insurance, so I figured why not? What I almost didn't tell Dr. Falcone was that I had also been experiencing excruciating round ligament pain for weeks that two md's had not been able to help with. I was wearing a cumbersome support brace that provided minimal temporary relief. I thought the situation was hopeless, but Dr. Falcone did such a thorough history I mentioned it to her. Well, two weeks later, the pain was GONE! No more brace either! I was sold. I continued to see Dr. Falcone for the remainder of my pregnancy, which resulted in a four hour labor and seven minute delivery! The whole family now goes and we are on a path to wellness! Dr Falcone is truly invested in her patients and their health. 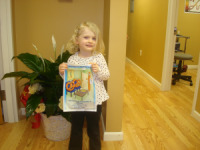 The office is also lovely and welcoming and Melissa is as efficient as she is courteous and friendly! I felt like a new women! Dr. Falcone is a very knowledgable, caring, professional chiropractor. 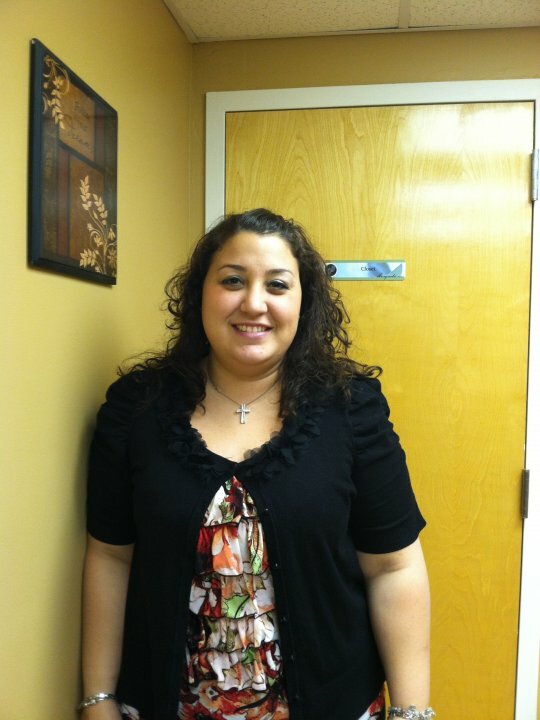 Melissa, the office manager, is so friendly and makes everyone feel so comfortable! I highly recommend Falcone Family Chiropractic & wellness for everyone! Where do I begin? Dr. Falcone is a wonderful, knowledgeable, courteous and very professional. She has healing hands! She really cares about her patients and makes sure you feel secure with her care. From the first call to Melissa, who is a sweetheart you know you are going to be well taken care of from start to finish. As it says on her card "Gentle Care From the Inside Out."